After Pentecost, remembering the descent of the Holy Spirit, the Church celebrates the Sunday of All Saints. This is fitting, as the Saints are the result of the Holy Spirit being given to the Apostles, the fruits of that “grain of wheat, which fell into the earth and died”(John 12:24). The current feast of All Saints came to prominence in the 9th-century, under the patronage of Byzantine ruler Leo the Wise. 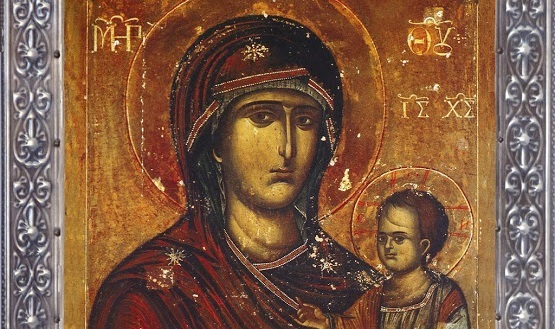 Upon the death of the emperor’s devout wife, Theophano, he wanted to build a church named in her honour, but was forbidden from doing so because Theophano was not a canonized saint. Instead, Leo dedicated the church to “all saints”, therefore including the pious Theophano among their number. There was already a day dedicated to the Christian martyrs. The patronal day for Leo’s All Saints church became this day, and the celebrations expanded to commemorate not just the martyrs, but all righteous Christians who were glorified in Heaven. 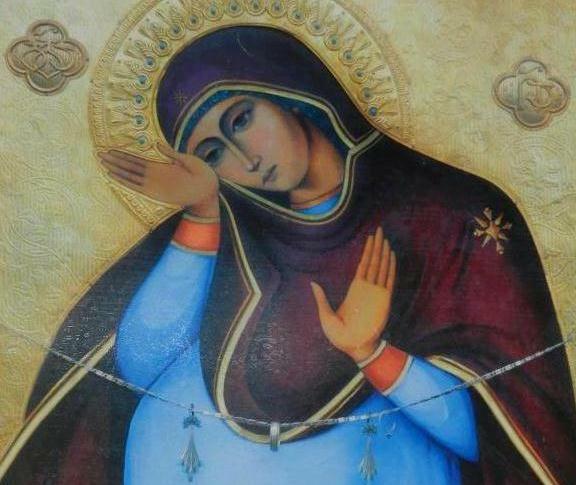 Theophano, as it happens, eventually was counted among the Saints, and her feast day is the 16th of December. The icons for this feast developed from the 9th-century onwards, and do not vary much. The setting of the icon is Paradise, identifiable by the abundance of trees and shrubery. 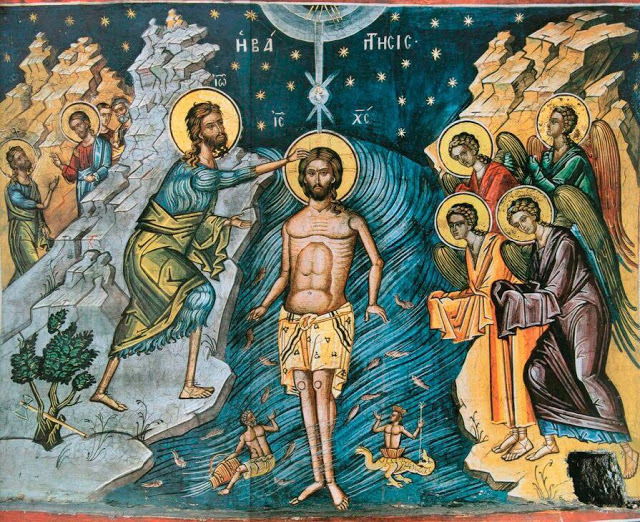 In the bottom-left of the icon is Abraham holding a righteous soul to his chest, which also identifies the place as Paradise: the Bosom of Abraham is a name given to the place where the righteous dead rest until Judgement Day (Lk 16:19-31). To the right of the icon is Jacob, holding the “Twelve Tribes” in a cloth, whilst in the centre is Dismas the penitent thief who was told by Christ on the cross that “this day you will be with me in paradise”(Lk 23:39-43). 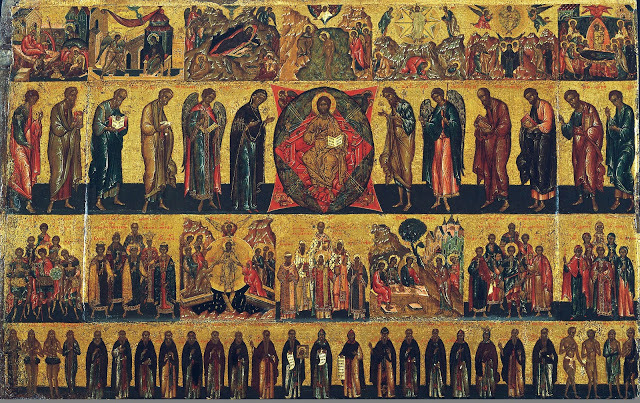 These figures at the bottom of the icon can be seen to represent the saints of the “old testament”, before Christ’s Resurrection. Central to the icon is the great “cloud of witnesses” described by St Paul in his letter to the Hebrews (11:33-12:2). The Saints are gathered around Christ, Who is seated in glory on a rainbow. Beneath Him is the Throne of Preparation, before which Adam and Eve prostrate themselves, whilst the Cross is also present (sometimes supported by Ss Helena and Constantine). These are all images present in the Last Judgment. After these things I looked, and behold, a great multitude which no one could number, of all nations, tribes, peoples, and tongues, standing before the throne and before the Lamb, clothed with white robes, with palm branches in their hands, and crying out with a loud voice, saying, “Salvation belongs to our God who sits on the throne, and to the Lamb!” All the angels stood around the throne and the elders and the four living creatures, and fell on their faces before the throne and worshiped God. The “four living creatures” can be seen in the icon, along with the various kinds of angels. The resemblance between the iconography of All Saints and the vision from Revelation is another clear reference to the Last Judgment. The Christian cannot escape such constant reminders of the need for repentance, even in triumphal icons like All Saints. 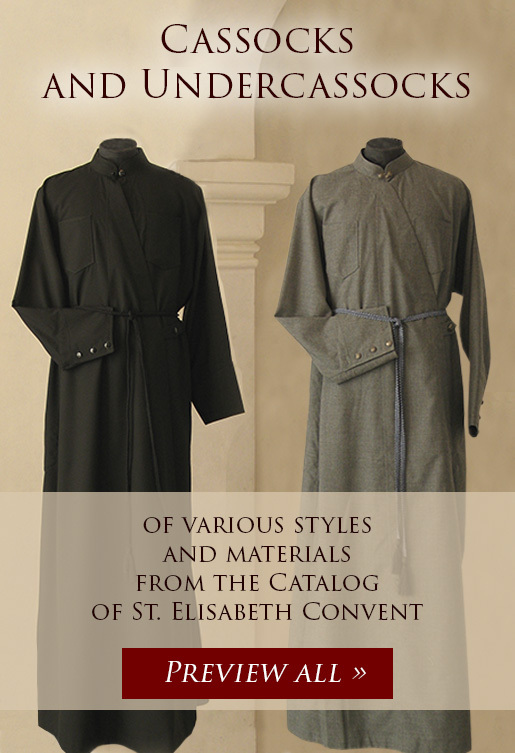 Often in the top corners of the icon are images of King David the Psalmist, and King Solomon. The psalmist writes “But to me, exceedingly honorable are Thy friends, O Lord” (Ps. 138:16), poetically describing one reason for honouring them with a feast-day. The writings of King Solomon are used for two of the readings for the feast of All Saints. Of the Saints, the wise king says: “But the souls of the righteous are in the hand of God, and no torment will ever touch them… In the time of their visitation they will shine forth, and will run like sparks through the stubble;” and “the righteous live for ever, and their reward is with the Lord; the Most High takes care of them.” Any of these verses could describe the scene observed by the two prophet-kings in the icon. Surrounding the multitude of Saints is a mandorla of light. This shows the communion of Saints: communion with each other and with God. The holy fathers describe how the Saints in heaven can hear our prayers through the grace of the Holy Spirit. Modern fathers like Silouan the Athonite and Theophan the Recluse explain especially well how the Holy Spirit envelops the Saints and allows them through grace to share the percipience of God in hearing the multitude of our feeble prayers. 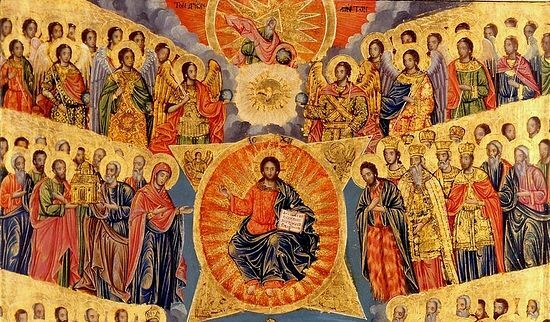 The cloud of light surrounding the angels, saints, and Christ not only show the unity of the saints with God, but the true depth of communion and shared conscience: real theosis. There are some icons of All Saints that show a more “organized” hierarchy of the saints in heaven, such as this one. This gives the impression of an ordered Heaven, a completed Heaven, like a great heavenly temple with Christ reigning over all. This is not a wrong vision of Heaven by any means. 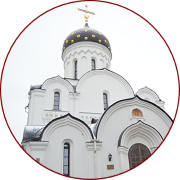 However, the more common All Saints icon shows a circular mandorla of light surrounding the ranks of saints and angels around the throne of God. The circle is a perfect shape and does not look “unfinished”, yet the potential is there for the circle to grow larger: to encompass yet more souls and bring them into the Heavenly realm. The icon reminds us of the Last Judgment in many of the details, yet this great shining cloud also reminds us that there is still room there for us.